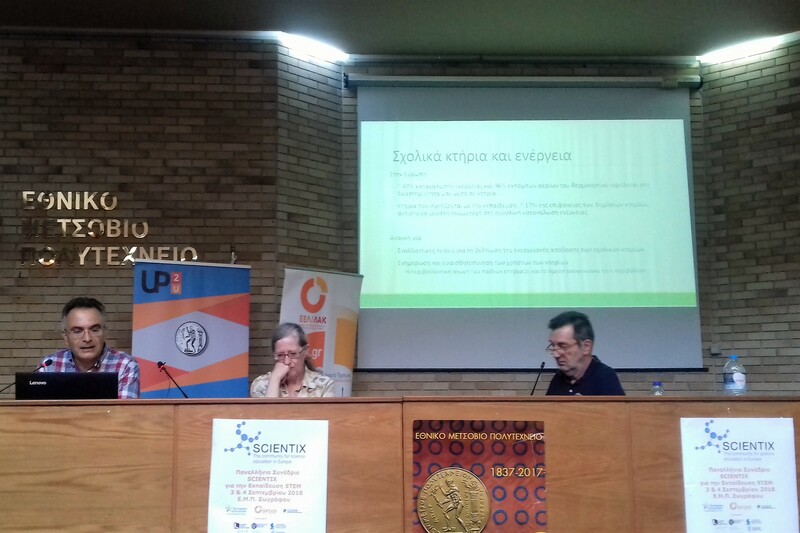 GAIA participated in the Pan-Hellenic Scientix Conference on STEM training, which was held on 3 and 4 September 2018 at the National Technical University of Athens. The aim of the conference was to highlight innovative educational practices from the Education of Informatics, Physics, Technology, Mechanics and Mathematics (STEM). We presented the GAIA approach in terms of educational content, which is based on the use of real-time environmental data from school buildings and their integration into classroom educational activities.